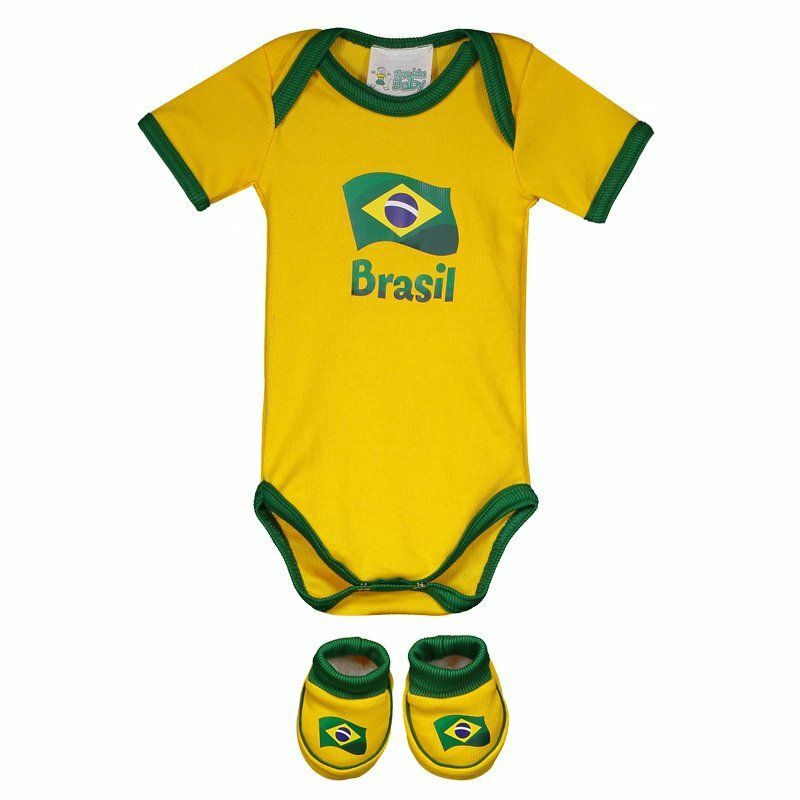 Developed especially for the little one to show their love and affection, the Brazilian Body Kit is made with natural cotton and polyester fiber, providing soft touch and total comfort. 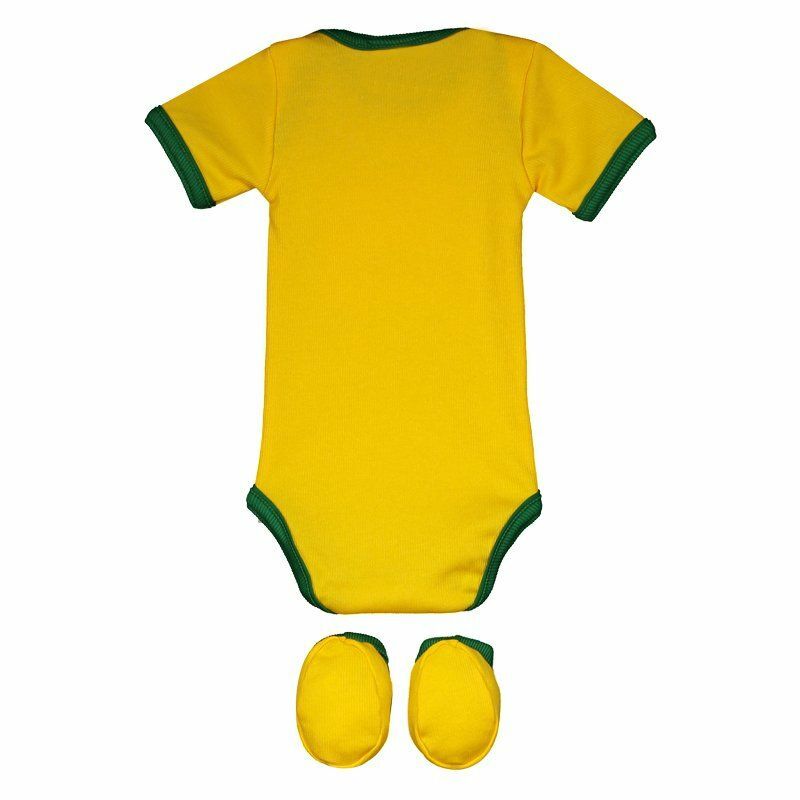 Its design brings the colors green and yellow. It also presents the badge of the team fixed to the chest. With a crew collar and short sleeves, the piece has button closure, ensuring more practicality. Finally, slippers with the team symbol accompany the kit.